Why so many Digital Nomads come to Shelter Cafe Bali? Have you substituted a 9-5 job in an office for a digital nomad lifestyle on the blissful island of Bali? If you answered “yes” to this question, chances are you’ll want to mix up your working environment from morning to the teatime. Shelter is a one-stop destination where you can tick things off your to-do list, whilst socializing with islander expats from around the world. Here at Shelter, not only can you nibble on the tastiest energy balls and best cake in Bali but also, we invite you to tap into our strong Wi-Fi and get downright productive in paradise! Renowned for serving the best coffee in Seminyak, our cafe boasts an ideal environment to get that all-important caffeine boost ahead of meetings, brainstorming sessions and co-worker gatherings. Ok, but why is Shelter different? Unlike your typical cafe in Bali, Shelter prides itself on being a social spot for creative people.  It’s not just location-independent professionals and coffee connoisseurs that our cafe Bali in Seminyak attracts but also, typical travellers, healthy eaters and music lovers. On select nights, we invite you to attend live music events, and peruse collections from up-and-coming Indonesian and international designers. ...in a trendy building on a lively Seminyak street. You’ll feel far from the hustle and bustle when you’re sat on the rooftop of our cafe in Bali, however. Overlooking a lush green football field, Shelter is enclosed by far-flung volcanic scenery, making us a preferred spot for a good afternoon in Bali. Everything we put on your plates is presented in an imaginative way which (we hope) will stimulate your creative energy. Devour the best cake in Bali, such as the Snickers cheesecake, washed down with the best cup of high tea in Bali. Our menu also features fresh juices, coffee, smoothie bowls, energy balls, wraps, burgers, salads and sandwiches. Whether you are living on the island or plan on visitng in the near future, remember to stop-by at our popular cafe in Bali for teatime. Don’t forget to tag us in your Instagram uploads and join the Shelter movement - @ShelterSeminyak.